Garage Equipment, as well as consulting, design, installations, service and parts to OEMs and end-users. We offer Wheel-check and Wheel-Nut Lock Systems to prevent wheel-offs. Click to view our most recent Press Release now. LUBETOOL Minimal Quantity Lubrication (MQL) - A self-contained Micro Lubrication System package for metal cutting operations and industrial applications. In metal cutting operations, LUBETOOL's vegetable oil based bio-degradable heavier than air droplets deliver cleaner machine operations by eliminating flood coolant operations and expensive clean-ups and produces faster cutting speeds and improved surfaces finishes. For additional input go to product description page. I.L.C. Automatic Oil and Grease Lubrication Systems - Resistance (orifice) for oil and volumetric outputs for oil and grease for general machinery includes machine tools, textiles, transportation and agricultural applications. Download ILC's Oil and Grease Systems catalogue. For additional information, contact GlobalBound Industries. An international supplier of centralized lubrication equipment. Pumps and distribution systems supplied worldwide. 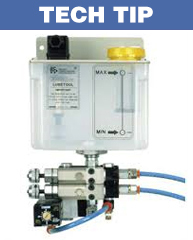 Oil and grease pumps along with resistance metering and volumetric output distributors are available. 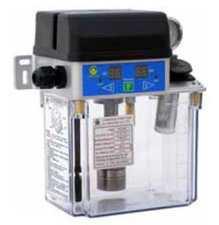 Single Point Programmable grease lubricator. Discharge outputs from 1month to 12 months. 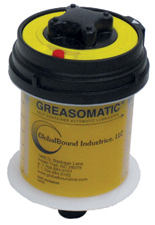 Mounted directly to bearing points, Greasomatic is an efficient economical way to automatically deliver lubricant to single point. Ideal for ball and roller bearings. Patented, Air operated double Diaphragm Pump - CentralFlow Technology delivers compact design, increased pump performance along with reduced air consumption. 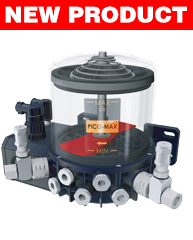 Fluid handling equipment for the transportation industry including garages and repair shops. 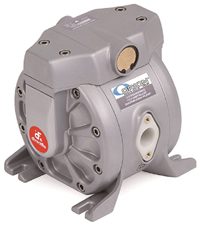 Product lines cover a wide range of mobile, portable and stationary pumps and accessories. Drum handling equipment and lifting equipment are also available. Lubricator replacement parts are available for I.L.C., Bijur, Dropsa, Showa, Trabon Lincoln Alemite, Lube, Chen Ying, LubeCorp, Vogel, A-Rung, and Graco lubrication pumps, accessories, parts and systems. We offer substitute replacement parts for most major lubrication system manufacturers. Contact us for your lubrication replacement parts needs! 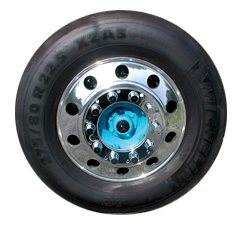 Truck wheel check indicator, wheel loss prevention management program. Provides "At-a-Glance Safety". System visually locates individual loose wheel nuts then locks the offending nuts in place until corrected. Suitable for trucks and trailers. Ideal for fleet operators and owners. © copyright GlobalBound Industries, LLC.